The Jungle Book has already made more than $860 million worldwide, The Beauty And The Beast teaser trailer just surpassed The Force Awakens’ viewing record, and Disney is starting to think there might be something to this whole live-action remake thing after all. 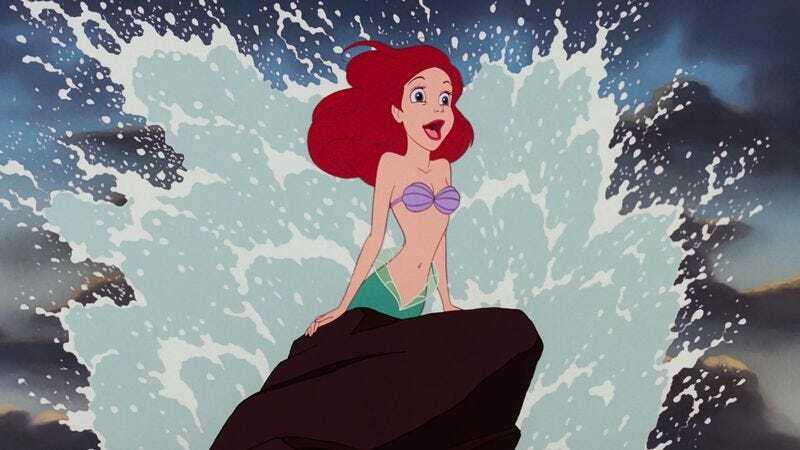 According to Deadline, the company is currently contemplating a live-action remake of 1989’s Little Mermaid, which seems like a smart business move considering the Cinderella live-action remake made more than $500 million and no one even really likes the original cartoon that much. The Little Mermaid, on the other hand, is the jewel in the Disney Renaissance crown. Deadline is reporting that Disney studio heads “recently heard a new take” on the film and are deciding whether to move forward with the project. Of course, there’s also the issue of that other non-Disney Little Mermaid adaptation that’s currently in the works at Universal with Chloë Grace Moretz as the titular heroine and Rebecca Thomas (not Sofia Coppola) in the director’s chair. But considering how Disney threw down the gauntlet against the Warner Bros. Jungle Book adaptation, the company likely isn’t too worried about some friendly competition. After all, it’s a lot easier to market a movie when you can use “Under The Sea” in your trailer. Perhaps the more surprising thing about all of this is that a Little Mermaid remake wasn’t already in the works. After all, Disney is currently gearing up not only for Beauty And The Beast, but also a Mulan remake, an Aladdin prequel, Cruella with Emma Stone, Mary Poppins with Emily Blunt and Lin-Manuel Miranda, Tim Burton’s Dumbo, The Jungle Book 2, and a Tinker Bell movie with Reese Witherspoon. Plus—to bring things full circle—a Maleficent sequel that will force Angelina Jolie to contemplate the era of Disney remakes she has wrought.